SANTA ANA, Calif. (KABC) -- A pregnant mother of four is facing 26 years to life in prison after she was charged Tuesday with multiple felony counts in the alleged abuse of her 15-month-old twins. 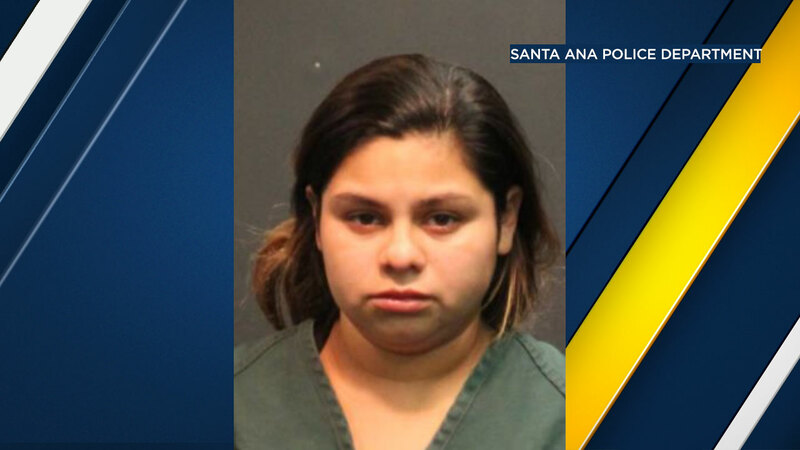 A Santa Ana mother was taken into custody Sunday after admitting to intentionally causing injuries to her 13-month-old twins, police said. Sacil Siglaly Lucero, 26, of Santa Ana, was charged with assault on a child with force likely to produce great bodily injury resulting in paralysis, two counts of torture and child abuse. Lucero also faces a sentencing enhancement charge of great bodily injury to a child under five years old. According to prosecutors, Lucero is accused of torturing the toddlers, a boy and a girl, "resulting in multiple bone fractures and bleeding in the brain." Prosecutors allege Lucero slammed the girl's head into a metal bed frame until the child was rendered unresponsive. Lucero then asked a friend to take the girl to a hospital, where medical staff called Santa Ana police. Police then went to Lucero's home to check on the other children and found that the girl's twin brother also had injuries consistent with abuse, including skull and rib fractures. Lucero's two older children appeared unharmed, according to police. The 15-month-old girl remains in critical condition, suffering from a brain bleed and partial paralysis, prosecutors said. Lucero was arrested Sunday and her arraignment was scheduled for Tuesday. Her bail was set at $1 million.